Many conceive of decentralization as a glistening new phenomenon, an innovation born from the blockchain with world-changing power we’re only now tapping into. But neither decentralization nor the concepts underlying the blockchain are anything new. Decentralized governing and decision-making systems have been around for thousands of years — likely since the inception of organized religion. In fact, the blueprint of this decentralized digital universe the world is bearing witness to owes homage to those religious practices which allow for nodes operating inside a larger system the power of intellectual autonomy and interpretation. The forebear of decentralization, in this sense, is religion. This is perhaps best crystallized by contrasting the decentralized practices of a religion like Buddhism with those of Catholicism, which exemplify a centralized governance driven by a single point of power: the Pope. 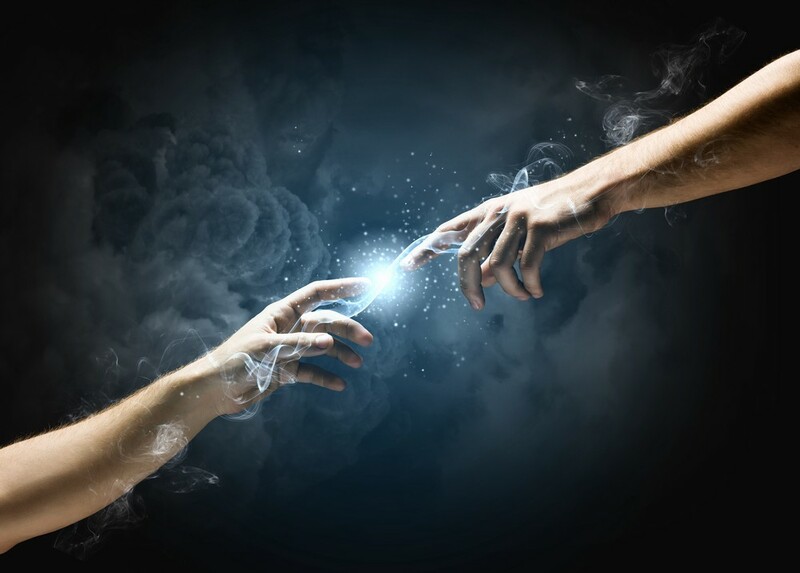 Consider the differing nature in which the four current major religions — Christianity, Islam, Judaism and Buddhism — attempt to answer what are arguably mankind’s two most important — yet still-unanswered — questions about the universe: who are we, and where do we come from? Or, in other words, how did our system of existence — a system consisting of our religions, our universe, and the planets and galaxies therein — come into being? And what exists outside of that system? What comes to light upon even the slightest examination is that mankind is inherently limited in our ability to answer these questions, mostly because we exist inside the system we seek to define, and in turn can’t know what exists outside of it (including the observable universe). This inherent intellectual limitation is something all religions grapple with. And it’s because of this limitation that religions across the theological spectrum devised the simple, relatively limited Occam’s Razor answer that what exists outside the system is God, and the creator of everything inside the system is also God-related. Every system needs a creator, after all. Where religions differ, however, is the manner in which they attempt to defy their limitations and define what exists outside the system — or rather, how they distribute ideas and facilitate the flow of knowledge. When you examine the intelligence models each religion has created — models designed to both answer the big important questions, as well as distribute ideas and knowledge more generally — we can identify a clear divide defining two distinct systems of thinking. One, exemplified by Catholicism, disseminates ideas centrally through the extension of a singular governing authority, and the other, exemplified by religions like Buddhism, Islam and Judaism, does so decentrally, achieving intellectual consensus more democratically. Beyond the blockchain, the forces defining the digital systems we live in today operate with the same sort of dichotomy. In fact, the similarities are stark. Take, for example, Facebook, a social network which is itself one large system. We all exist inside it, posting our pictures and conversing with friends. But who is the sole power existing outside of Facebook? Mark Zuckerberg, of course — a man who who serves as the “god” of the platform by controlling all the decisions Facebook makes in a rigidly corporate, top-down structure. A system like Wikipedia, on the other hand, proves to operate in more of a decentralized manner, like that of Buddhism, in which anyone can contribute to a communal understanding by adding unique bits of information. Now, while Wikipedia is/was technically controlled centrally by Jimmy Wales, it offers a more democratic means of sharing knowledge and of controlling the flow of information and ideas across nodes (anecdotally, the same can be said of Ethereum and Vitalik Buterin, as well as Ripple [Labs] and Xledger [RCL]). In this sense, these systems we identify with today themselves resemble the bicameral systems humans have been familiar with for most of history. Ideas have been distributed in a decentralized manner since the advent of the printing press. Beyond religion, it’s important to acknowledge, too, that for as much as the blockchain has been heralded for democratizing access to information and knowledge, information and knowledge have actually been decentralized since the introduction of the printing press. It’s true that for most of history, knowledge was siloed in guilds and centralized pockets of privilege. But the printing press changed that. It allowed for the creation of a decentralized network of ideas and information to spread across the globe. This network allowed for humans to more easily generate consensus, enabling ideas to themselves gain meritocratic authority. This, as it happens, is the same goal of decentralized computer models. Decentralized authorities remain essential to human progress. As we look ahead to the future, some of those authorities, like the blockchain, for example, will prove to be momentous innovations — advancements that change the world. But the idea of decentralized authorities is itself nothing new, and it’s important that we recognize that fact. Whether it be the intellectual mechanisms of religions like Judaism or the invention of the printing press, the blockchain owes much to a preceding legacy of decentralized technologies and modes of thinking. And if we are to one day truly utilize the blockchain in a way that actualizes its potential, an understanding of the underlying, more foundational concepts powering it will prove essential. We can’t prepare for the future, after all, without understanding our past. Decentralized Religion was originally published in Hacker Noon on Medium, where people are continuing the conversation by highlighting and responding to this story.